Normally, I aim to read five books each month. But this past week, I flew through seven books in seven days! And you can do it, too. You most likely have plenty of time to read books every day, whether you realize it or not. Not buying it? Read on. Yes, I really did read seven books in one week. It was actually 8 books, but “7 Books in 7 Days” has a nice ring to it. And yes, they were all full-length books. All this while camping, spending time with friends, and riding my motorcycle in the mountains for two thousand miles. You can read books easily and often, just by listening. No tricks or gimmicks. Just great use of available resources. Sometime ago, I realized how much time I spend travelling each year. I then made it a priority to use my commute time to my advantage. Thus, I discovered audiobooks. I had plenty of time on the road during my week-long trip, and I spent it all reading. If you are interested, Audible.com (an Amazon company) is a great place to start. It’s a subscription service that costs $15 a month for 1 credit. That credit is payment for any audiobook, even those worth more than $15. They have other plans. Aside from the subscription, you can always buy any book at any time with a significant discount. Summary: $15 a month equals one audiobook a month. I was skeptical of Audible’s subscription at first. I didn’t want to pay every month. But now, I’m thrilled to have books so easily accessible. The subscription pretty much guarantees I will read at least one book a month, without even trying. What are some books you want to read but don’t have time to? How many books could you read if you started listening to them instead? 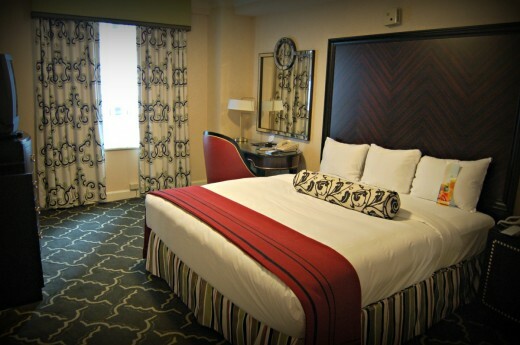 Welcome to your new home — a lovely extended-stay hotel room! Thanks for earning the company tons of the customer’s money by living in a hotel and forsaking your family for months at a time. What’s that? Do you mean to imply you’re ungrateful for a luxurious suite in a nice hotel? Are all the trimmings of modern travel — a rental car, per diem for meals, and free breakfast — not good enough for you? I just don’t get why you don’t find this to be a wonderful arrangement. I mean, who doesn’t love the excitement of a business trip to a fun new destination with no return flight booked?! But don’t even waste a thought about us at the office, strapped to our air-conditioned desks, forced to work regular hours, going home to eat dinner with our kids at the table — all while you work as many hours as possible, eat extravagant dinners out, and live the high life of a bachelor in a paid-for hotel! If only everyone could live like a king. A king constantly on tour, working nights and weekends, while the nobles enjoy the spoils in the castle, that is. You’re not fooling me, so don’t even try to tell me how bad it is. I hate travelling, myself. It’s dreadful. Fortunately, my importance and leadership style requires me to be at the office nanomanaging everyone. What are some things you can do to appreciate and support your team members on the road?